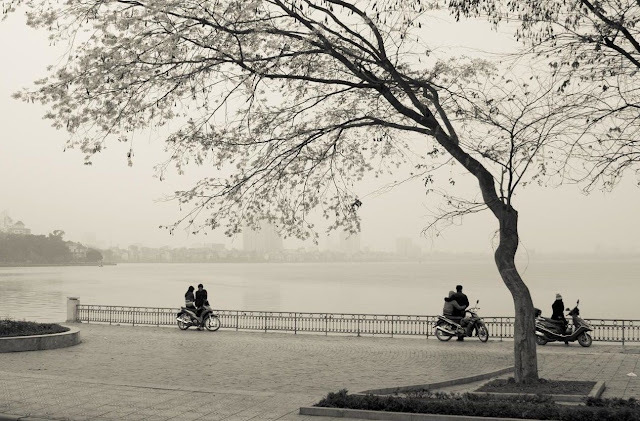 In Hanoi capital, when winter monsoon visits every corner of the street, from the most populous road to small alleys, from central to suburb areas, from street side stalls to elegant restaurants, people meet each other, gather around a table and enjoy this simple winter gift together. 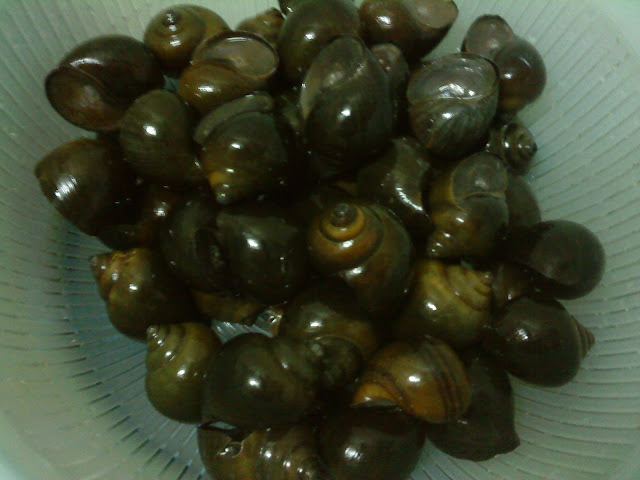 In the past time, snail was a pastoral, rustic dish which can only be found in the countryside. 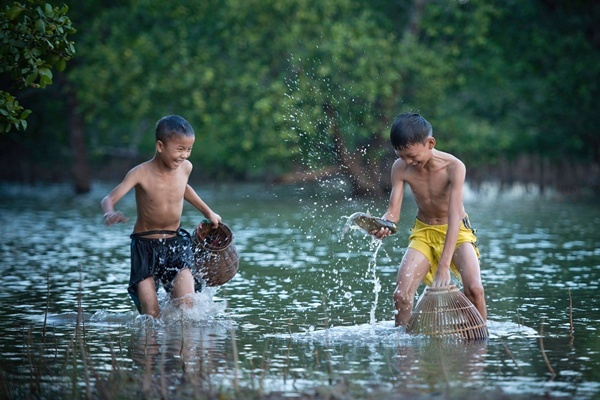 In lunar October, when the weather is cool and a little bit cold, the river level is lower, the elderly and children excitedly carry baskets and basins to catch snails. 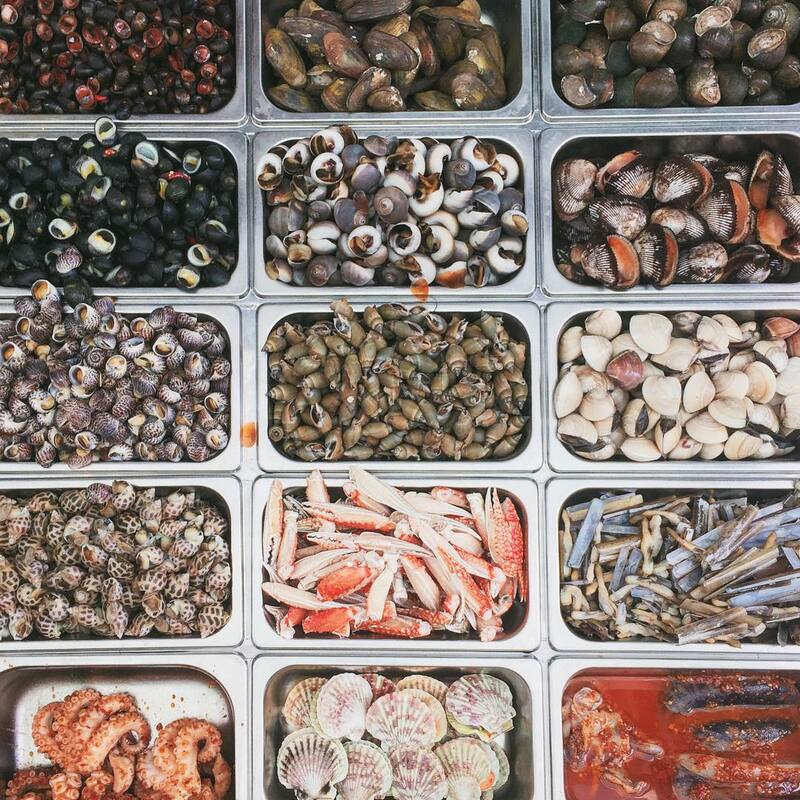 There are many kinds of snails: helix snails, Periwinkle snails, trapdoor snails, etc. After being collected from the river, they are brought home, soaked for several days before processing. 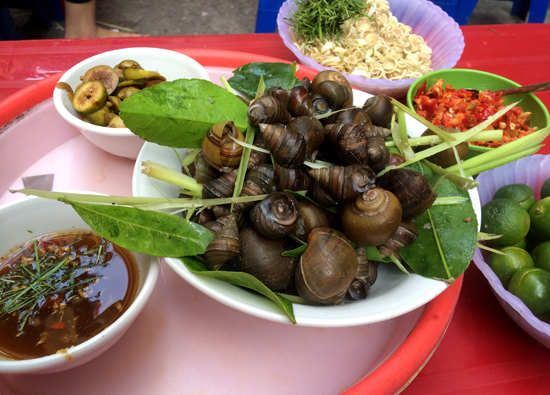 Popular snail dishes in the countryside come in the form of snail soup, snail porridge or boiled snail. Snail has the exotic taste of a creature that spends its entire secret life on the bed of a river or pond. It’s easy to get addicted to the dish, and Hanoians feel something is missing if they have to go without boiled snails for a long time. So they undergo the only treatment that works in this situation by going to their favorite street side eatery. Nowadays, snail menu becomes more diverse with dozens of dishes from snails, including stir-fried spicy snail, snail spring roll, snail vermicelli soup, steamed snails with ginger leaves, snail stir-fried with wine, periwinkle snails steamed with lemongrass. From a very simple and rustic origin, snail has become an elegant ingredient in luxurious restaurants and favored by not only local but also foreign food lovers by Vietnamese ham with periwinkle snails, snail salad and snails in garlic–herb butter as appetizer. For me, steamed snail with lemongrass has always been the most attractive dish in the cold atmosphere of Hanoi winter. It must be trapdoor snails, which are medium well-cooked and served with dipping sauce from garlic, ginger, lime juice, chopped lemongrass and chili. There are a few steps to finish a plate of steamed snails; however, it requires a sense of precision to produce a medium well-cooked, sweet-smelling and delicious snail pot. Before boiled or steamed, snails must be soaked in rice water which makes them more fatty and charming, then continue to be soaked in cold water with additional rubbed grapefruit and lime leaves to force them open mouth and spit out dirt inside. Next, every snail should be thoroughly washed its outside until it becomes clean and polish. When boiling, add some lime and grapefruit leaves and top and bottom the boiling pot with lemongrass to balance Yin and Yang. The water added to boil snails should be enough to retain the sweet flavor. It’s also an art to know when the snail becomes medium well-cooked, otherwise, it will get tough if overcooked and have its mouth unopened if undercooked. Boiling snails well is not of the greatest excellence as its delicious flavor depends much on the dipping sauce. It is a common belief that there has never been such a sophisticated and naturally diverse dipping sauce like that of boiled snails. 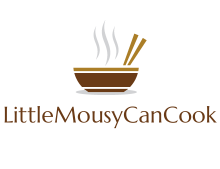 The dipping sauce has bold taste with plentiful flavors: salty, sweet, sour, spicy flavors combined with aromatic lime leaves and lemongrass, all of which float on the surface of fish sauce mixed with sugar and water. Some people even drink only the dipping sauce or mix it with the boiling water to enjoy all quintessence of the dish. 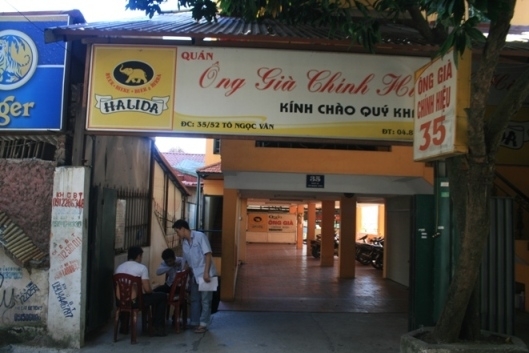 It is difficult to make a list of all street side snail stalls in Hanoi. Despite the same kinds of snails, same ingredients in dipping sauce like fish sauce, ginger, garlic and chili, each stall is a different version of the dish with a dedicated secret. Also, when snails are boiled, the cook cannot hide their quality, so if they are not fresh, it shows immediately no matter what herbs, spices and other ingredients might be added as camouflage. Accordingly, there exists famous and favorite stall for certain group of customers. 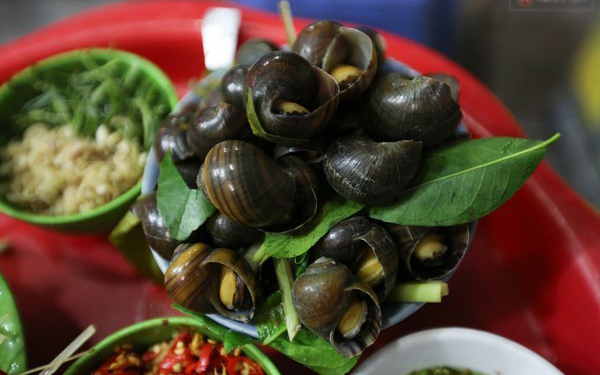 Followings are top 5 best roadside snails in Hanoi that tourists may visit to enjoy and feel the differences. With an area of only 1.5m2, Dinh Liet snail is always crowded. Customers have to queue for their turn even though the stall owner badly makes use of two sidewalks for expanding the space already. According to Ms. Ha, what makes her stall so impressive and crowded all the day lies in her secret of dipping sauce, which not only harmonises five outstanding flavors, but also looks eye-catching. 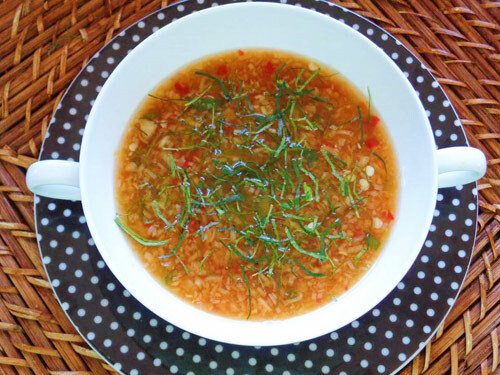 A little bowl of dipping sauce has white lemongrass, yellow ginger, dark green lemon leaves and shining red of chili, all of which harmonize with each other, creating a very special combination with distinct aroma of each ingredient. 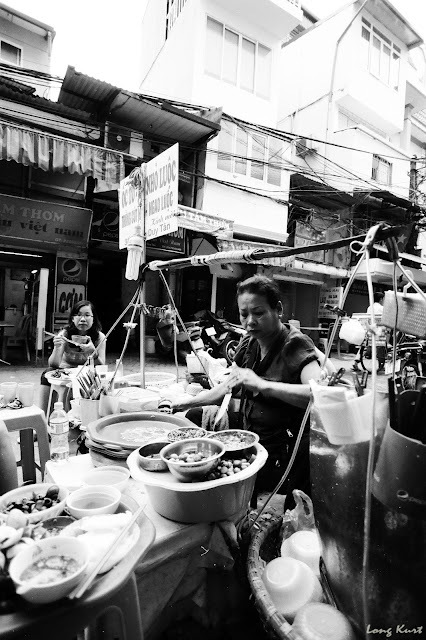 Acknowledging that her own creativity in making dipping sauce contributes to her success, Ms. Ha modestly thought that there was a difference in personal appetite, which explains why she always provides an additional bowl full of chopped lemongrass, ginger, chili and fresh kumquat for customers to adjust themselves. Another small but crowded snail stall, which stands in the list of the best boiled snails in Hanoi is located at No. 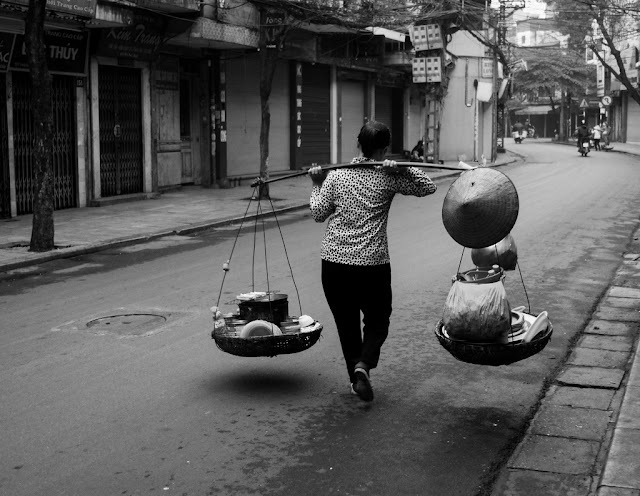 34 Tran Phu Street. What makes it special is sweet-smelling, tough and crispy snail meat. Apart from evenly viscous dipping sauce with harmonic combination of lime juice, lemongrass and chili, the snail stall is also famous for sweet and sour pickled mango that undoubtedly has crush on most snack lovers. The stall also has steamed oyster and half-hatched quail eggs to go with and only opens in late afternoon. This street stands a very high quality snail roadside stall of a mute couple. 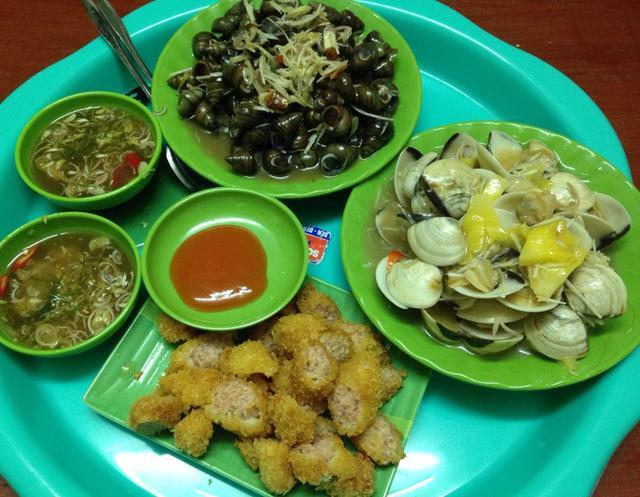 With a little bit higher price of VND50,000/bowl (~$2) for all kinds of snails, which are always clean, large and hot-served, boiled snails usually go together with rice vermicelli, pickled fig and star fruits. Located in the sea of seafood restaurants along West Lake’s bank, two snail stalls called Old man and Old lady still stand out with a very special menu. Apart from genuine boiled snails, there is one famous dish of snails steamed with Chinese herbs with extremely exotic flavor. Because of his old age, the Old man is not the one cooking snails but providing direction and tasting to check whether the snails are properly cooked according to his standard recipe or not. This roadside restaurant has existed for nearly two decades. Most young people in Hanoi who belong to generation 7X in Ba Dinh area also know about it. The roadside restaurant now has moved to new location, not too far from the old address, with smaller space, mainly customers have to sit the sidewalk, but the restaurant is always crowded. Very different from the boiled snails in Hanoi, the snail dishes in Ho Chi Minh City remind me of French cuisine as they are more complicated and hence more expensive than the straight boiled snails in Hanoi. 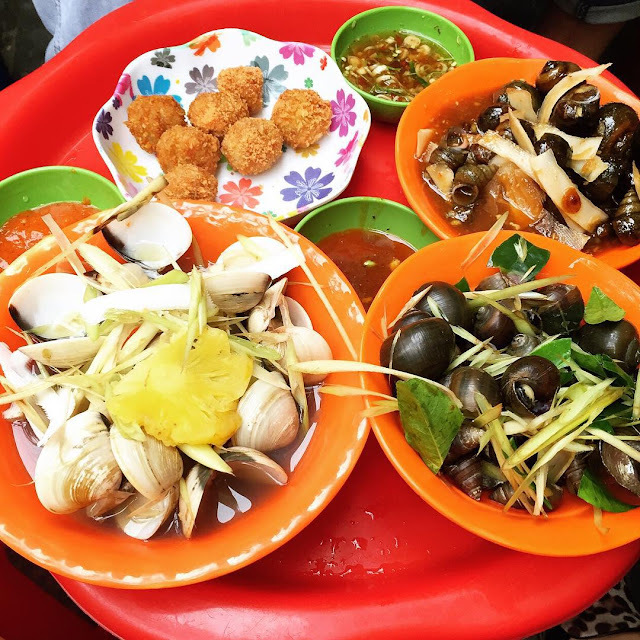 Down in the southern metropolis, snail dishes are more cosmopolitan and represent an open-mindedness and eagerness to catch up with global trends among the Saigonese.